I know I am not the only one obsessed with Downton Abbey, so I have no problem admitting it. Reading this book may have slightly intensified my obsession! 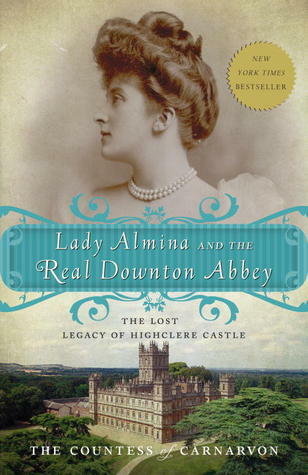 I remember being so excited when I saw Lady Almina and the Real Downton Abbey on a Downton Abbey display table at Barnes and Noble last year, but it took me a while to get started reading it. I firmly believe that you have to be in the mood to read different books; I hadn’t been in the mood for nonfiction. It wasn’t until I formed a mini book club with a few friends for the book Below Stairs (basically, this is a Downton-based club!) that I got to reading it, and I will definitely be recommending it for my book club’s next read! Lady Almina and the Real Downton Abbey chronicles the life of Almina Wombwell once she becomes the 5th Countess of Carvaron in 1895 and begins her life at Highclere Castle, the location where Downton Abbey is filmed. Though her parentage was questionable, Almina came with quite a large dowry, which was necessary to keep Highclere running (this is somewhat similar to Cora in the show). As she grows into her position as Countess, Almina flourishes; she hosts grand parties, and spares no expense. Luckily, her father Alfred de Rothschild is more than generous with his money, and so Almina has no reason to worry about expenses. When her husband the Earl is involved in a horrible car crash, Almina is dedicated to nursing him back to health, and this is where she finds her calling. When World War I breaks out in Europe, Almina immediately knows that she wants to turn Highclere into a hospital for wounded soldiers. She contacts all the necessary people to gain approval, and with yet another contribution from her father, is able to furnish and staff the hospital with all the best equipment, doctors, and nurses handpicked by Almina herself. Almina’s philosophy in running the hospital is simple. She believes that each soldier requires and deserves the very best care. Every patient will be roomed in one of the castle’s many bedrooms and enjoy the luxuries that come with being a house guest – the finest sheets, pajamas, and food. Nurses are to talk to the soldiers and get to know them as well as looking after their wounds; it is necessary to provide the emotional care on top of physical healing. Almina personally looks after many of the soldiers herself and takes the time to contact the families of each patient that comes in to the hospital, inviting them to visit. Her hard work and commitment to such a personal level of care proved to be just what the patients needed time and time again, and many letters were sent to Almina throughout the war to describe how thankful many of them felt for her kindness and generosity. There were so many things that I absolutely loved about this book. For starters, this felt like a great companion to Downton Abbey. The fact that it focuses on the family (and the servants!) in Highclere at the time that Downton takes place, makes it that much easier to appreciate the historical accuracy of the show. Not only does the book highlight the history of the castle, but it helps give a clearer understanding of World War I for those who may not be quite as familiar with it. I remembered the very basics from high school history class, and while history was always my favorite subject, World War II was my favorite topic. I never truly understood how horrifying World War I was, and how much it changed not only the way wars are fought, but also the history of the world. There are repercussions we still see today, and I doubt I would have ever realized this had it not been explained in Lady Almina. Fiona, Countess of Carnarvon, did an unbelievably wonderful job researching and writing this book. Every aspect was explained so thoroughly, with the greatest attention to detail. Her style of writing was perfect; I often felt as though I were having a conversation with the Countess, listening to her tell me the story of Almina while I sipped a cup of tea (at home, though; not at Highclere 😦 )! Anyone who is a fan of Downton would be doing themselves a favor to give this book a try. I truly feel like it will give you an even greater appreciation for the show, but more importantly, an even greater appreciation for Highclere itself, which I know was the Countess’s reason for writing it. Her love for the castle and its history is so very evident, and it’s so very nice to see. Each chapter often focuses on one experience, whether it’s a mother whose child she, Jennifer, is helping to deliver, or an elderly woman whose life she learns about while treating her over time. Each person that Jennifer comes into contact with has a unique history and life that shows the diversity and hardships of living in the East End during the 1950s. This is not a book that I would expect myself to have read, if not for the show on PBS. I cannot say enough how much I enjoyed this book. There are stories which break your heart, and stories which make you smile. Overall, when I finished the book I felt humbled, in a way. I felt happy to have read such a beautifully-written memoir, and to learn of so many experiences that people went through and yet continued to have hope. I know that as soon as I closed the book, I could only say, “I loved this book.” I cannot recommend the book (or the show!) enough. I have to “check-in”, because I feel like I am taking entirely too long to read my current book, Beautiful Creatures. I love Goodreads, and I often like to browse around to find books to add to my pile, or to get an idea of what to expect from a book I’ll be reading soon. I decided to read Beautiful Creatures after watching a couple students devour it; they snapped it open on their desks at every chance they could, and would often choose reading over socialization, a rare thing in eighth grade. These girls kept telling me how good it was, and that I had to read it. For about two or three weeks I have been slugging through this book, and I wish I could just get through it already. I don’t even know what to think – I have a feeling I read the reviews and let those sway my opinion. But so far I cannot disagree with what I’ve read on Goodreads…stay tuned. Hopefully I can have a review on here before the end of summer! After months of resisting shopping and spending money on things I don’t need (yes, I do need a weekly happy hour with the girls), I caved yesterday. 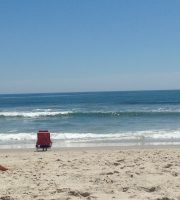 Here’s where it gets even better. They were on the sale rack! Regular $78.00 – guess how much? $24.99!!!! I also spotted a pretty black, v-neck sleeveless top with a ruffly collar on the sale rack which I decided to try on. Regular $78.00 – guess how much? $39.99!!! On top of the sale, (oh yes it does get better) my mom gave me what was left on a gift card she had. I ended up spending $42!!!! Can you believe it?? $42 for a top and pants at White House Black Market! The ducklings had their first swim! I woke up at my apartment I share with my sister (I’m thinking a family-intro post will be created shortly), and went home to my parents as soon as I could to see our three ducklings and to check if either of the two remaining eggs had made any progress. Unfortunately, no progress is showing but we’re hopeful that they simply aren’t ready to hatch yet because they were laid (lain?) after the others. When I got to my parents’, Evan, a family friend who was spending the weekend, was carrying one of the ducklings into the kitchen. The sink was filled with an inch or two of warm water, and the ducklings were able to try it out for their first of many swims. 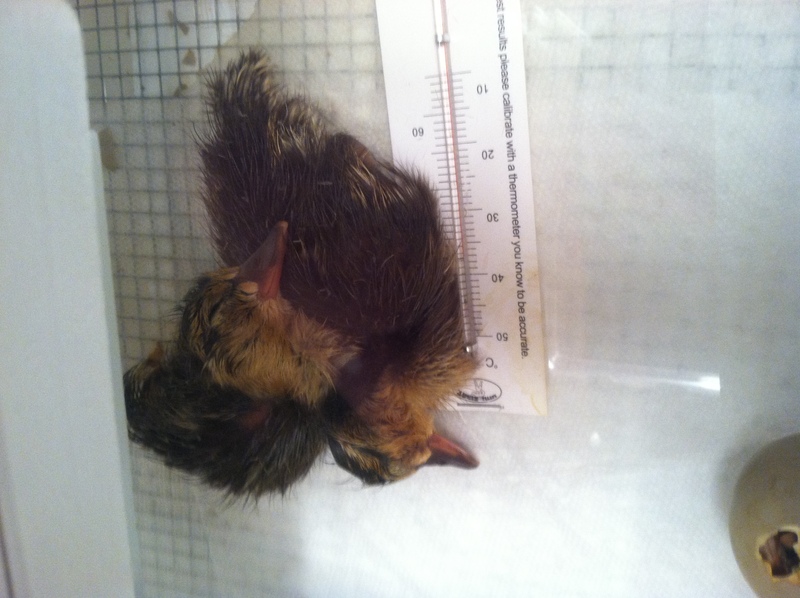 We left them in for a couple of minutes before carrying them back into their incubator. They are so tiny, they’re hardly the size of my palm! A little later, my dad brought home a heat lamp for them and we moved them from the incubator into a Rubbermaid container filled with newspaper strips. That’s where they’re hanging out right now, the three of them crowded together in their water bowl which they managed to spill pretty quickly. They better rest up, they’ll be getting a few visitors today! Looks like any new baby, human or animal, creates the same excitement.